We are a family run artisan bakery set in West Dorset on the Jurassic Coast. It is here that we bake the most deliciously gooey, award-winning chocolate brownies. Our brownies are baked by hand, in small batches and always fresh to order, using the best quality indulgent ingredients, before being beautifully gift wrapped, placed in a bespoke gift box and posted nationwide and beyond. It is lovely for us to know that our brownie gift boxes have helped you celebrate a birthday, an engagement, a promotion or brilliant exam results. Have congratulated new parents, fed a flat full of students, made someone feel less poorly or provided a secret indulgent treat just for you and have always brightened someone’s day by bringing a message of love. I am a passionate home baker and from an early age was generally to be found in the kitchen, wooden spoon in hand. The pleasure I get from baking and sharing has stayed with me and so with a dream to bake for a living, I took a giant leap of faith, left my career of 20 years and Bayside Bakery was born. In my first month, I won a Gold Award from Taste Of The West, a prestigious food competition that sees entries from exceptional food producers from six counties across the south-west. From that moment on the business flourished, built on reputation and repeat business. 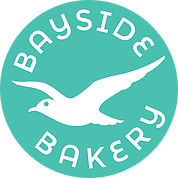 Bayside Bakery has grown so substantially that we have now built a new dedicated bakery extension and the entire family are involved from baking to exhibiting at food shows, from packing to delivering. It is a real family business and we love it. With more awards following our first, we now bake brownies every day from our West Dorset kitchen and deliver them across the UK and beyond. Katy Howell, Founder, Bayside Bakery. “These brownies are absolutely gorgeous.